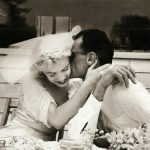 By the end of 1954 Milton and Marilyn had developed a very close working relationship, but Marilyn’s life was in flux. 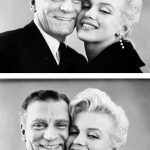 She had just divorced Joe DiMaggio and was unhappy in her contract with 20th Century Fox. With this in mind, Milton talked to her about fleeing Los Angeles and moving to New York. 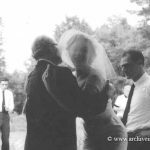 Marilyn took Milton up on the offer and when she arrived in New York was whisked away to the Greene’s sprawling country house in Weston, Connecticut. She was exhausted and unwell at the time and so, spent the Christmas period resting. 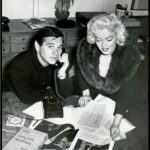 Her days were mostly spent minding Joshua Greene, walking in the surrounding woods and making plans with Milton to set up Marilyn Monroe Productions (MMP) together. Her spare time was spent reading and talking to Joe DiMaggio, with whom she was still friendly, on the phone. 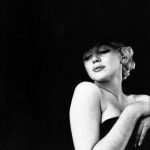 At this point no-one in Los Angeles knew where Marilyn was living and she was quite happy not to give herself up. In the weeks that followed she cut business ties with Inez Melson (her business manager), Charles Feldman (her agent) and hadn’t even told Natasha Lytess (her acting coach) where she was. 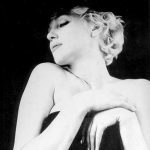 It was in January 1955 that Marilyn met with the new board of directors for MMP – these included Milton Greene, Frank Delaney and Joe Carr. The set up of the company meant Marilyn would hold 51% of the shares and Milton, 49%. Delaney had found loop-holes in Marilyn’s Fox contract and proceeded to tell her she was a free agent. 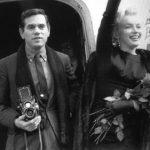 Marilyn then held a press conference at Delaney’s house to unveil the “new” Marilyn and told everyone present that she was no longer under contract with Fox – there followed a media frenzy. As far as the studio was concerned she was still very much working for them and they were expecting her back in Los Angeles without delay. 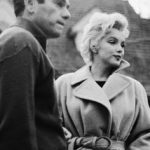 This meant Marilyn was forced to admit that while she was still under contract, she was hopeful that an agreement could be reached. 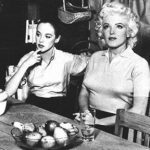 On January 19th, 1955 Marilyn moved into The Gladstone Hotel in New York City – a move paid for in full by the Greenes – and spent her time in the city visiting museums and attending the theatre. 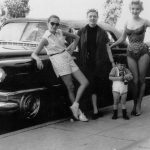 It was soon after this that friends encouraged her to attend The Actors Studio and she was introduced to Lee and Paula Strasberg. 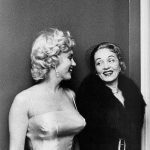 Marilyn tried to fit in with the other actors, sitting at the back of the class and attending lunch with the Strasbergs. Although there has been mention of students being displeased with her presence, it’s thought that for the most part they accepted her. 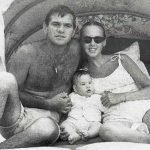 She was also more than happy to attend promotional events for them, which included the East of Eden premiere and riding a pink elephant through Madison Square Garden. 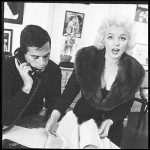 By April 1955 Marilyn’s fan mail into Fox had hit an all time high of 8,000 letters per week – a record in the studios history at the time – and it was on April 8th, 1955 that she sat down with Edward R. Murrow to conduct her Person to Person interview. The show was live and was shot in the Greene’s Connecticut home with both Milton and Amy present. 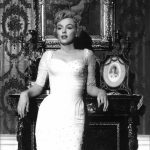 By the time 1956 had come around, Marilyn was in a relationship with Arthur Miller and had come to a new agreement with Fox; She would complete four more movies for them over the next seven years but had director approval and, more importantly, she was free to complete movies, television programmes or plays should she so choose. 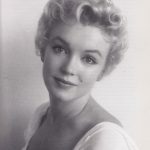 For Marilyn to be given a contract of this sort, at a time when the studio system still held all the cards, was extraordinary and opened doors for others to do the same. This led her to film Bus Stop followed closely by The Prince And The Showgirl with Laurence Olivier in 1956. 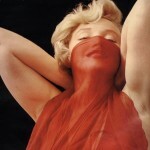 Milton was on set for both movies and constantly photographed Marilyn both in costume and dressed down. While the relationship between the two appeared, from the outside, to go from strength to strength, trouble was brewing. Milton and Marilyn had begun to fight over Paula Strasberg’s salary. 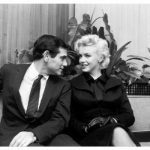 Separately, Miller was not happy about Marilyn’s dependence on Milton and, some say, was jealous of Milton’s role in MMP and that he wasn’t the only man in her life. 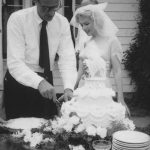 As a result, following their wedding in July 1956, which Milton took photos for, the friendship faltered. 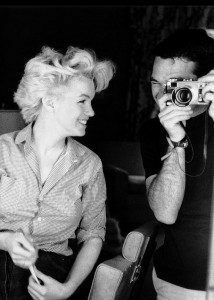 As a result, in January 1957, Marilyn met Milton in his NYC studio to sit for what would be their last collaboration – The Red Sitting. In one of the final photos Marilyn lies on the floor, her body stretched and her head turned away – it’s almost the perfect illustration of where their friendship was at that point.